Discover a land of history! Imagine a myriad of castles all around you (over 50 in less than 60 miles, not a bad score ! ), worldwide famous vineyards, a unique sunlight reflecting on an exceptional river… yes, you are in the Loire Valley! Thousands visitors come to stay and visit the famous Loire castles every year and experience a unique immersion into French art de vivre: Chambord, Amboise, Cheverny, Clos Lucé, Azay le Rideau, Villandry, Chinon ... Welcome to the Valley of French Kings. Listed on UNESCO’s world heritage as a living cultural landscape, each stop on your journey into the Loire Valley will amaze you! With a few century-old history, the Loire Valley really became an important place for France during the Renaissance. Between 1415 and 1527, no less than 5 kings of France decided to govern from the Loire Valley, moving from one castle to the next, never too far from what is known as the last wild river in Europe ». At that time, the royal court hopped from one place to the next on a regular basis and this is why more and more castles were progressively built in the area as Kings’ dwelling places or secondary houses for rich men who wanted to illustrate their power, their refined taste ... and show off a little... it has not changed much! Thanks to the region’s popularity and to many Italian artists who decided to live there then, like Leonardo da Vinci, the Loire Valley can be considered the birthplace of French Renaissance. Castles and gardens in the area are the most beautiful examples of this major trend that put a final end to the Middle Ages in France and gave birth to what is known today as the “French art de vivre”. Yet, Loire is not the only famous River in the region. Many others contributed to put the Loire Valley landscape into shape: the Cher River, on which Chenonceau was built, the banks of the Indre River where Azay le Rideau stands, The Cosson River which original bed was modified by King François I in order to surround Chambord castle and the Vienne River facing Chinon’s fortress. The tuffa limestone is a local stone of paramount importance. This stone with bright nuances was not only used to build all the Loire castles like Chenonceau or Chambord, or less known places such as Villesavin or l’Islette, but it also enabled to create a very local and less extravagant dwelling places : troglodyte caverns! The vineyards are also a key element to the Loire landscape and of course wine-growing is very much linked to the River and the type of soil that both provide the vines with a unique freshness and bodyness. Often less appreciated than more prestigious wine areas, the Loire Valley is nonetheless the 3rd biggest wine area in France and offers such a wide range of wines that you are sure to find the one you like! Finally, gardens have always been part of the local way of life, and this is still true today for most inhabitants of the Loire Valley. Pure Renaissance style gardens « à la française » are always striking with their beauty and complexity, but you will also enjoy the patchwork of small private kitchen gardens that unrolls along the river banks. Almost everyone owns a little plot of land here. Indeed, some castles are famous primarily for their gardens: in Villandry for instance, you will find French gardens, a maze and a kitchen garden. Diane de Poitiers and Catherine de Medicis competed each other with their respective gardens in Chenonceau (and they probably also had gossip contests!). Valmer castle is now offering a great choice of ancient vegetables, and tomatoes are real stars at La Bourdaisière... so you will not be surprise to learn that the Loire Valley is also called the « garden of France »! 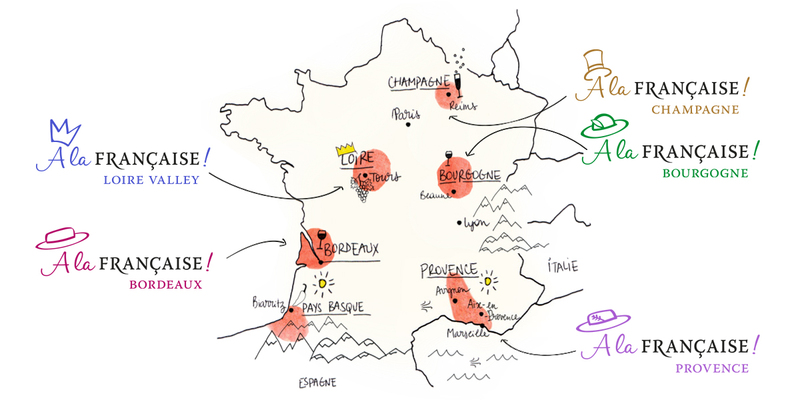 With all these points of interest, it is impossible to get bored in the Loire Valley! You’ll be busy visiting castles, tasting wines, taking pictures....but don’t forget to save time to taste local gastronomy, a showcase example of products of terroir and French Art de vivre : rillettes from Tours (sort of pâté), rillons (type of deli meat) flatenned pears, tart tatin, goat cheese.... The Loire Valley will not only provide you with spiritual nourishment but also great food for your stomach! So indulge in the history and gastronomy, in the easy-going atmosphere and enjoy a total escape into the Loire Valley!